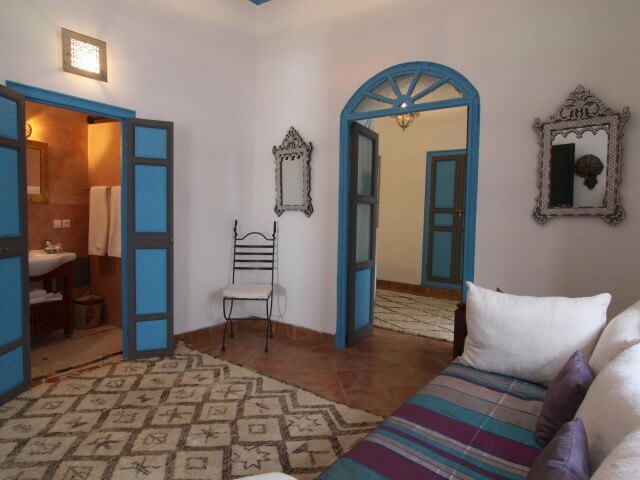 Riad Karmela is located in full heart of authentic Medina, to 2 mn ofthe entrance of the Souks, of the Museum of Marrakech and from Médersa Ben Youssef and 8 mn walk from the place Jemma El Fnaa.The 19 rooms are distributed around three patio which were joined together. You will be able to relax in the various living rooms by listening to the streaming of the fountain in the basin and the birds which hide in the orange trees. 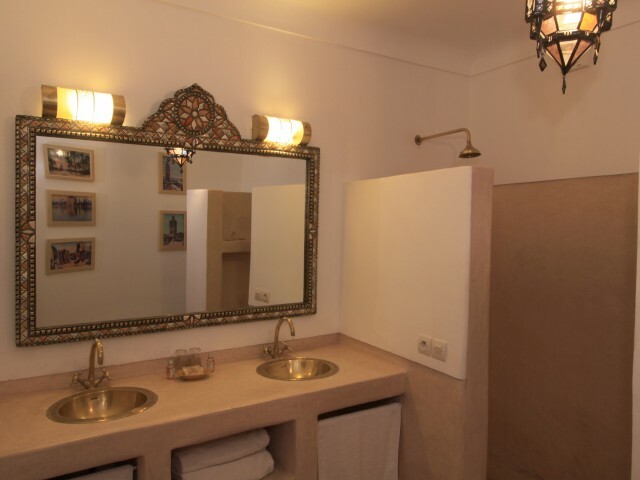 During the winter, fairy-like place to dine and appreciate the food of Fatiha or to relax you after the day in the hammam and massage. 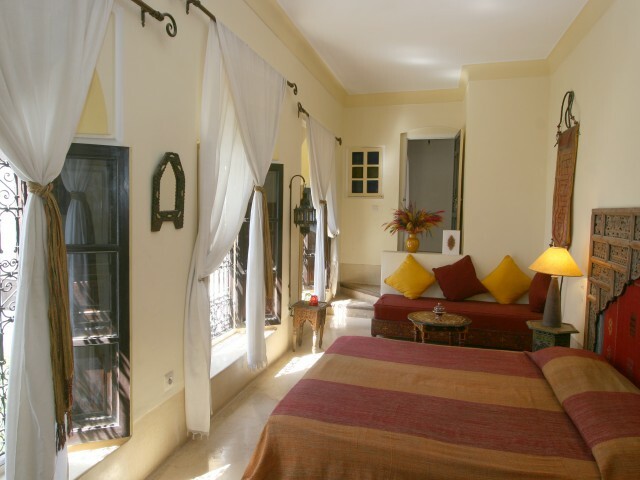 On the large terraces, you will appreciate several lounges areas restoring for the breakfast or the dinner, the solarium. 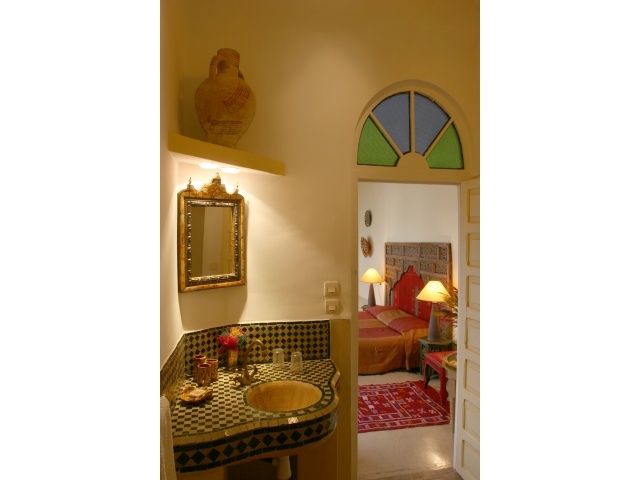 Large summer jacuzzi in Zellige is also available there free, a corner living room to take glass by looking at the roofs of the city or the tops of L � atlas. 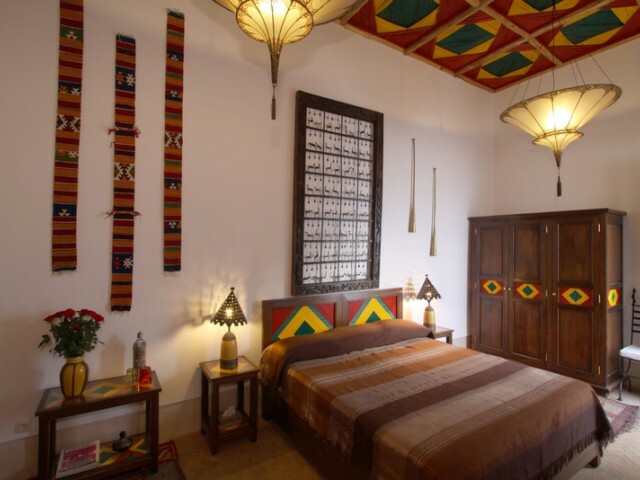 Also hamamm, Sauna, rooms of massage available. The standard rooms, located in the principal patio at the ground floor can accomodate 2 people in two single beds or a double bed. They have all private en suite bathroom, hairdryer, shower. Air conditioning, safe. 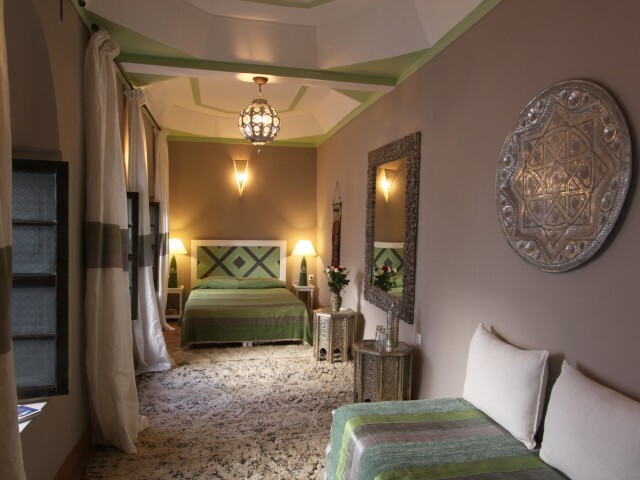 The superieur rooms are distributed in the three patios on the ground floor with calm or the 1st floor. It can accomodate 2 or 3 people and have all their bathroom deprived with shower and hairdryer. A large bed double or 2 simple beds or a double AND a simple bed. Air conditioning, safe. 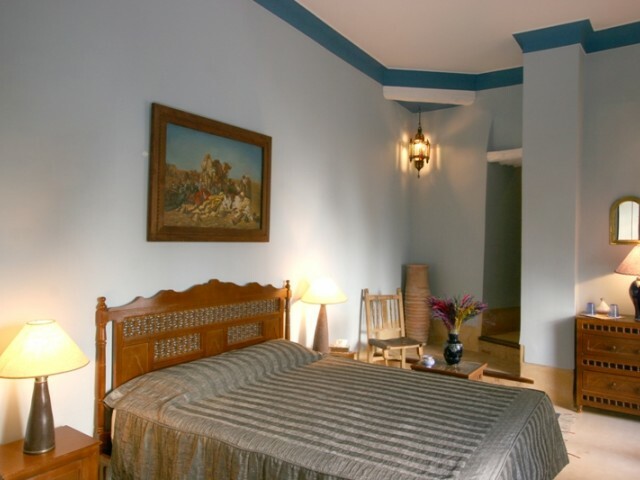 The Junior Suites have a double bed and a single bed or even three beds. 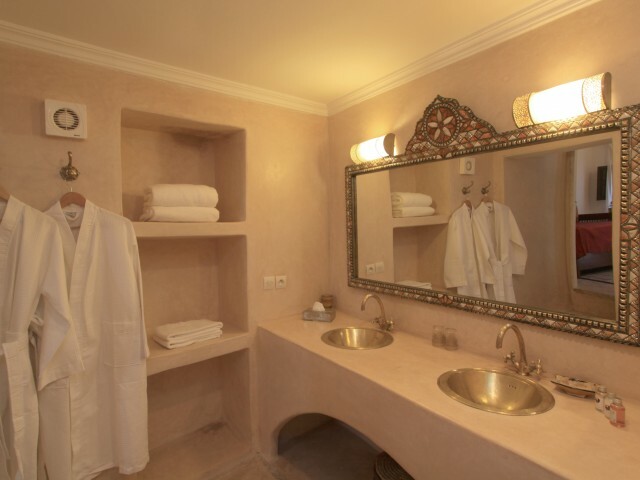 Bathroom en suite with shower,hairdryer, dressing gowns. 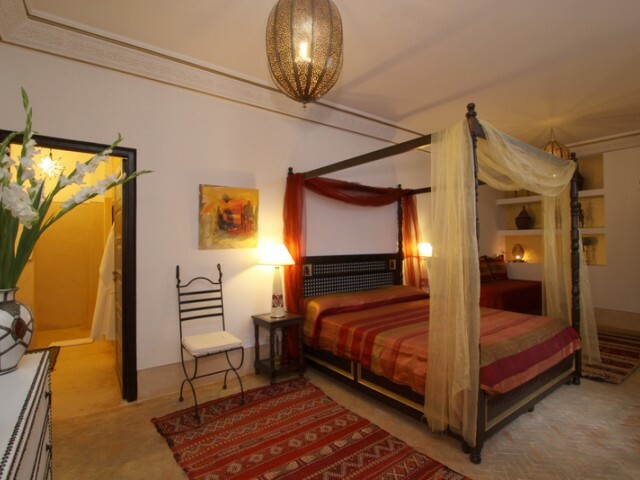 It is possible to dine in Riad on preliminary reservation. 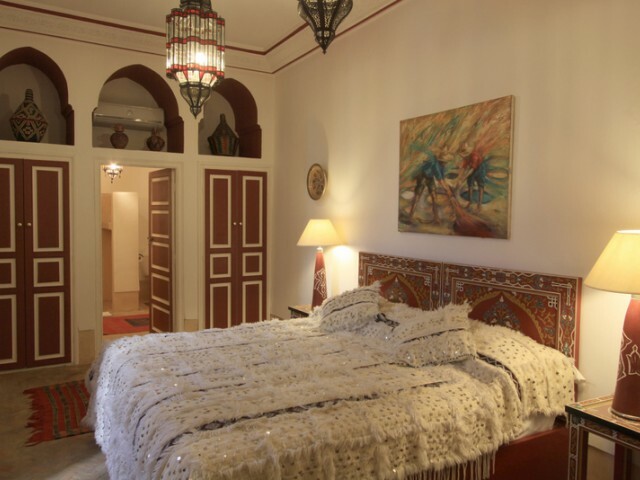 Cook Marocaine, finely three dishes has 25 euros which changes every day. 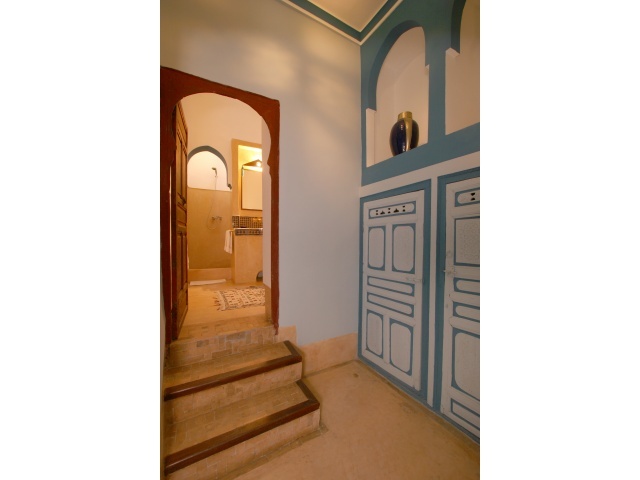 A traditional hammam, a sauna, two rooms of massage. 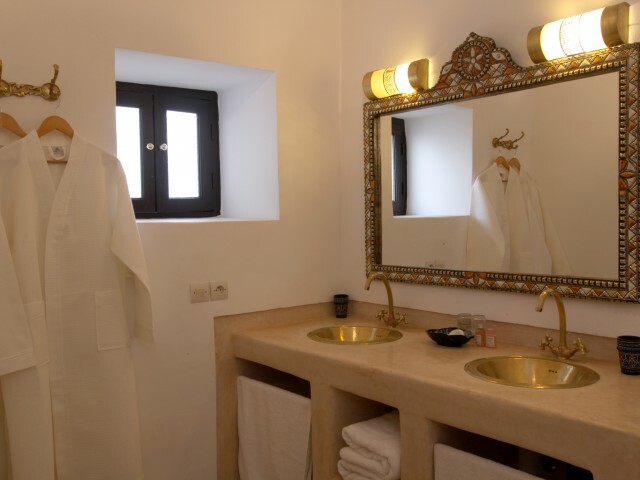 Hammam and body gumming lavished by our masseurs have 15 euros the 30 mn.